Before we go any further, I would first like to apologize for the quality of the photos in the post. My trusty old DSLR camera threw a hissy fit and was not very responsive, so I decided to use my Phone's camera instead. Although I have to admit the quality isn't bad, it still is not on par with the photos of my previous posts, especially when it's Rina taking the photos hehe.. But can you blame me? If your choices were "Use your Phone camera to take pictures of Ippudo's new dishes" or "Don't go to Ippudo at all", I guarantee you that the former will win every single time. 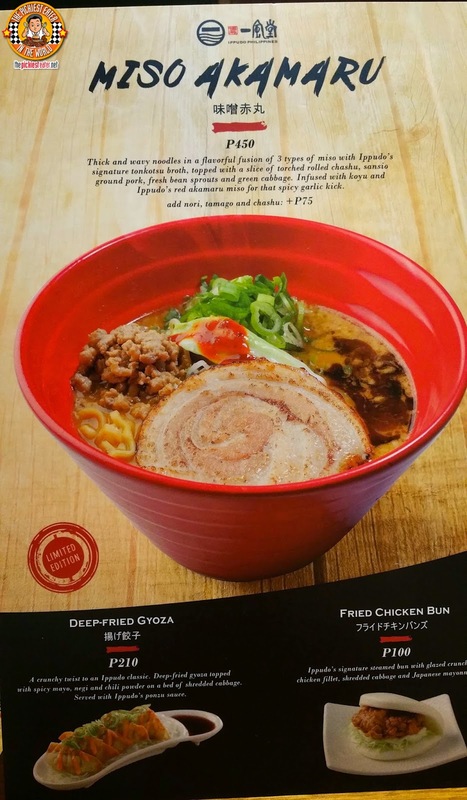 With that being said, Check out the newest Ramen and appetizers to hit Ippudo Philippines' menu! 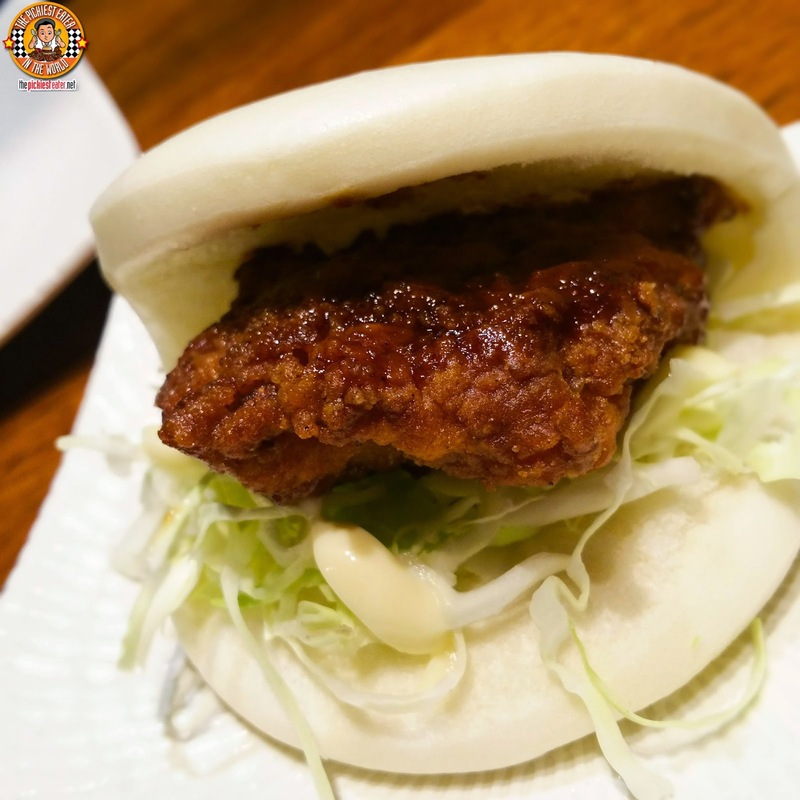 If you liked Ippudo's Pork Bun (To this very day, I still have dirty dreams about it), then you will most certainly enjoy Ippudo's new Fried Chicken Bun (P100). A chunky slice of chicken fillet is coated and deep fried to a beautiful crunchiness, then brushed in a lightly sweet glaze, giving it a more flavorful punch. The fillet is tucked between Ippudo's signature steamed bun, under a nest of shredded cabbage mixed with tangy Japanese Mayonnaise. Though I have professed my love for Ippudo's Pork Bun time and time again, what I enjoyed more about the Fried Chicken Bun was how the piece of chicken is bigger than the slice of pork, making it more filling.. It's up to you to decide if that's a pro or a con hehe. The meaty dumplings are plunged into the deep fryer instead of steamed, then drizzled with a spicy mayo, a bit of spring onion, and a dash of chili powder. 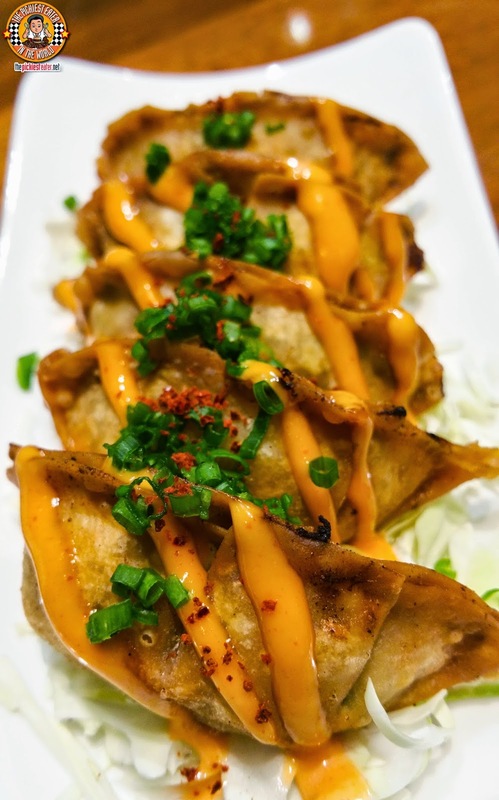 Despite the presence of the Spicy mayo and Chili Powder, the heat never becomes too overwhelming, complimenting the crispy texture of the gyoza and the flavor of the meat inside. Sorry, purists, but I now prefer this over the classic! 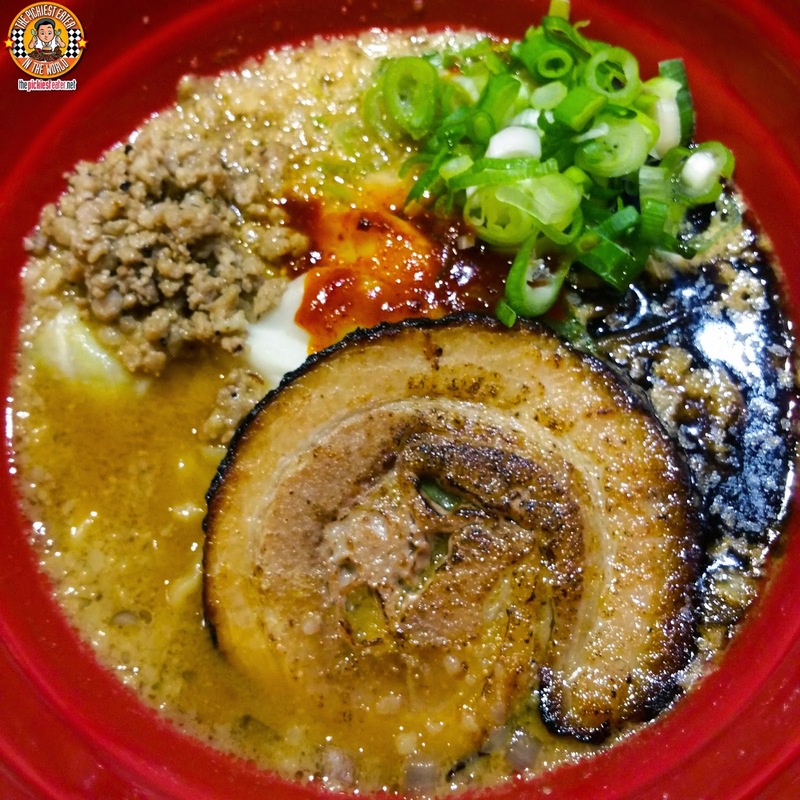 The newest member of Ippudo's roster of Ramen, albeit for a limited time, is the Akamaru Miso Ramen (P450). 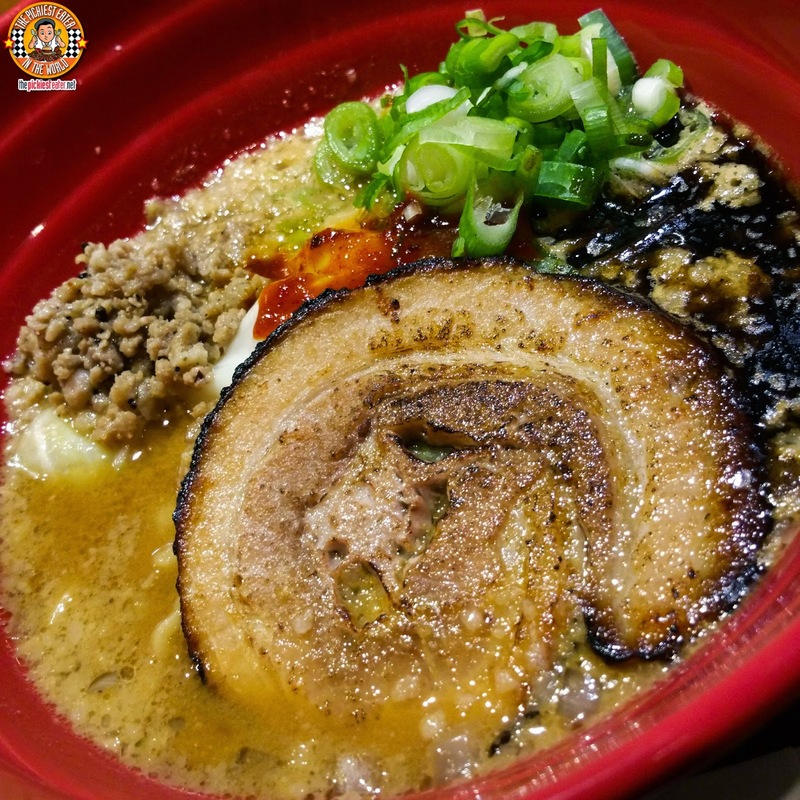 I was immediately intrigued by the presence of the Torched Pork Chasu, as well as the ground pork, giving the Ramen a more delicious meatiness. However, the excellence of this bowl is more than just the meat.. The infusion of three different types of Miso goes perfectly with Ippudo's signature Tonkotsu broth, to make an incredible explosion of flavor. A touch of red akamaru miso at the center adds little heat that tickles your taste buds, to go along with an amazing garlicky kick. The Akamaru Miso Ramen also uses Thick, wavy noodles that I am more accustomed to. 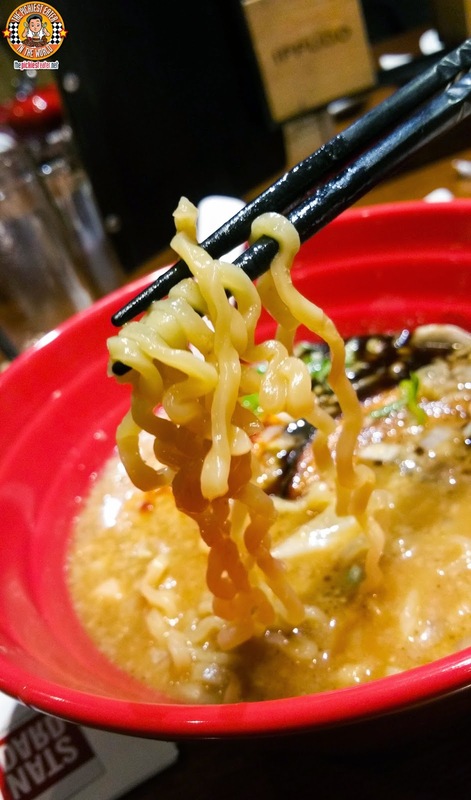 Though I'm fine with the thinner noodles that other Ramen houses use, I do enjoy the thicker kind more (It's easier to eat with chopsticks hehe). I now have a clear cut favorite ramen from Ippudo, and it is their new, limited edition Akamaru Miso Ramen. What makes me sad is knowing that this is only going to be available for a few months before another limited edition ramen takes its place. When that day comes, I'm probably going to be picketing the front of Ippudo. I suggest you try Ippudo's new Miso Akamaru while it's still on the menu! !